Corsair has pleased gamers across the world with the announcement of the all-new M65 Pro RGB gaming mouse. The new Corsair mouse comes with tons of advanced features that immediately make it one of the best gaming mouse money can buy. For instance the M65 Pro RGB gaming mouse comes with a 12 000 dpi optical sensor that provides pixel-precise tracking and support for advanced surface calibration that offers supreme responsiveness on any playing surface. The mouse is made of aircraft-grade aluminum that provides both low weight and high durability and it also has a dedicated sniper button that provides users the opportunity to change the dpi settings on the fly. In addition to all this the M65 Pro RGB gaming mouse has high quality Omron switches that are rated for 20 million clicks, a high-mass scroll wheel, strategically placed buttons and an advanced weight tuning system. 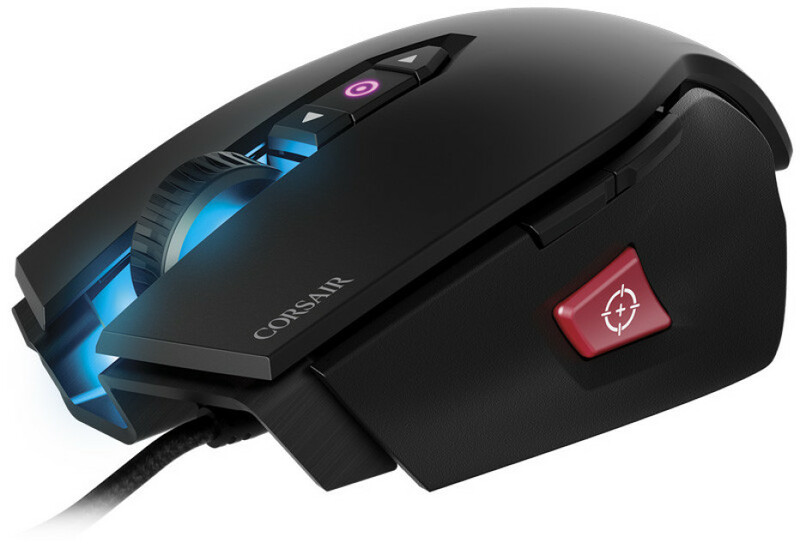 The Corsair M65 Pro RGB gaming mouse will be in stores next month. The mouse will sell for USD 59.99 MSRP with no sales tax added.